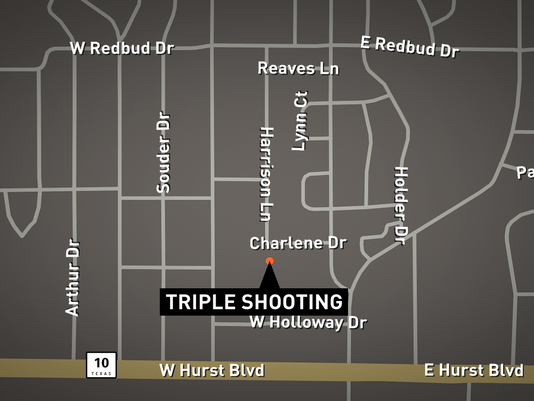 Was Deadly Force Necessary in Hurst Shooting? On the evening of January 8, 2015, a homeowner in Hurst, Texas witnessed a robbery at a convenience store across the street from his home. Rather than calling the police and leaving the matter in their hands, the homeowner grabbed his gun. When the suspect returned to the getaway car, a gun battle ensued between the homeowner and the suspect. The homeowner, the suspect, and a second suspect who was driving the getaway car were all injured, and one of the suspects later died. The homeowner and the other suspect are expected to recover. Under the Texas Penal Code, there are several situations in which it is legally permissible for a citizen to use deadly force against a person: in self-defense, in defense of a third person, in protection of one’s own property, and in protection of a third person’s property. However, each of these situations is limited by the requirement that the citizen’s actions be reasonable and justifiable. For example, it would not be permissible to use deadly force in self-defense in response to a push or a shove. Similarly, it is not permissible to use deadly force in protection of a third person’s property unless the third person has requested the protection or the citizen has a legal duty to protect the property. In this case, it does not seem that the homeowner was justified in using deadly force to protect the property of the convenience store. It is unlikely that the owner or any employee of the convenience store requested the homeowner’s help, and it also seems unlikely that the homeowner had a legal duty to protect the store. Because the homeowner’s conduct was not justified under Texas law, the homeowner could face criminal charges, including murder, manslaughter, or criminally negligent homicide for the death of one suspect and aggravated assault or deadly conduct for the shooting of the second suspect. The homeowner could also be civilly liable to the surviving suspect for assault and the family of the deceased suspect for wrongful death. Our legal system was structured to encourage respect for the rule of law, rather than self-help or vigilante justice. While there are certainly cases in which brave citizens might be called on to risk their lives and safety in defense of themselves or a third person, it is rare that a citizen will be justified in using deadly force in protection of property. Such situations are best left in the hands of the police and then the courts. Several team members at Chad West, PLLC are gun owners, and most have their CHL. As such, we support the freedom to bear arms, but understand that this freedom also requires a great deal of responsibility. Every day we work with criminal defense and personal injury clients in the Dallas-Fort Worth area. If you find yourself in a situation requiring the legal services of one of our attorneys, please call us at (214) 509-7555. Our phones are answered 24/7.